Some of our beautiful dairy goats browsing the rolling hills of of our farm. 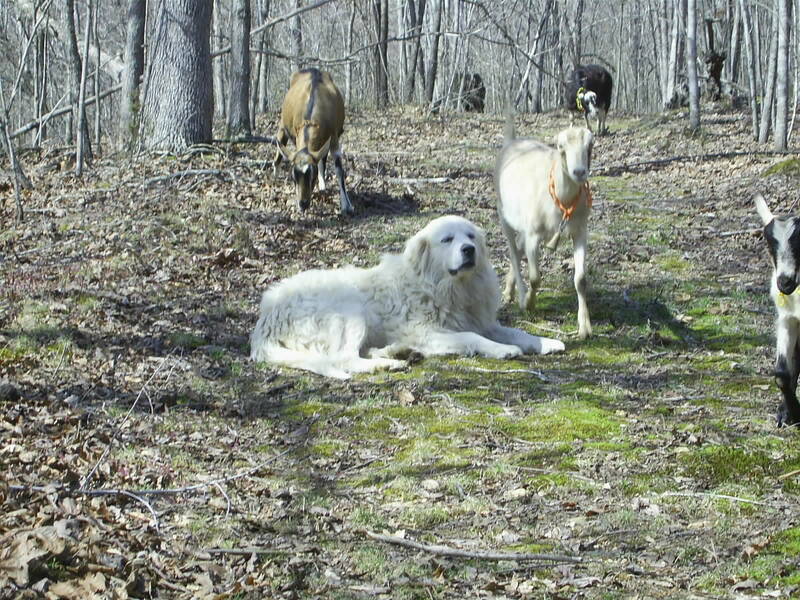 protect the goats while they are out and about on the farm. The ultimate in skin care products made in small batches for peak freshness and quality. Star Brite goat milk products are pure and fresh, with absolutely no harmful ingredients, preservatives or fillers making it gentle for even the driest or most sensitive skin for the best natural skin care available. Our soaps and lotions are made here on our peaceful farm in rural Tennessee, using fresh goat milk from our prize winning dairy goats. 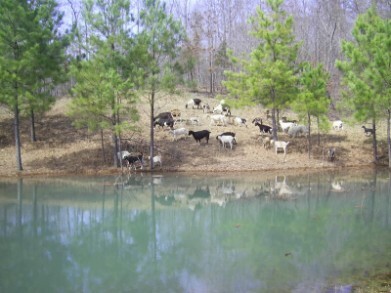 The goats browse on pesticide free pastures and woods, drink fresh spring water and are fed grains without hormones to make milk that is full of natural freshness! Our fresh milk is combined with the finest of food grade oils, including, coconut, palm, olive and sweet almond to make our rich natural skin care products. These are made from scratch in small batches to insure freshness and quality. Goat milk is loaded with calcium, phosphorous, naturally occurring sodium, potassium, magnesium, Vitamin a, Vitamins B-1, B-2, B-3 and B-12 Pantothenic Acid, Biotin, Choline, and many other trace elements. It also contains alpha-hydroxy acids such as lactic acid which help remove dead skin cells from your skin's surface this leaves new cells on the surface of your skin that are younger and smoother looking. Vitamin A is necessary to repair damaged skin tissue, and maintain healthy skin. It also aids reduction of lines and wrinkles and provides some psoriasis relief. Goat milk soap is often recommended by dermatologists for their patients who suffer from skin conditions such as psoriasis, eczema and acne. The protein in the milk is said to kill bacteria which is very helpful in clearing acne. Especially beneficial to those who have sensitive or dry skin.